Is reporting on global conflict worth the risk? 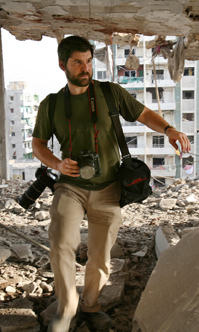 More than 1,000 American and foreign journalists have been killed or seriously injured over the past 20 years covering wars, insurgencies, popular uprisings and other conflicts abroad, including the wars in Iraq and Afghanistan and the Arab Spring revolutions. As the Internet has spurred the global appetite for minute-by-minute news updates and established news organizations worldwide have shuttered overseas bureaus and cut back their staffs, more and more inexperienced young freelance reporters and photographers and local hires have ventured into harm's way in search of dramatic stories and photos. Meanwhile, insurgents are using YouTube and Facebook to publicize their cause, making them less inclined to protect journalists in hopes of getting good press. In fact, combatants today often consider journalists not as partners or even impartial observers, but as high-value targets for hostage-taking — and murder.